Earlier this year I went for a walk along the sea shore at New Brighton, a town on the Wirral Peninsula, near Liverpool. 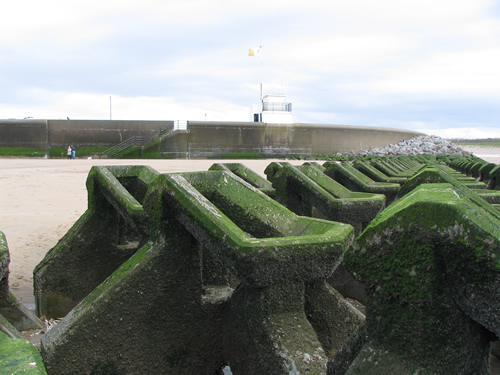 I took some pictures of two of the sea defences that have fascinated me for a long time. 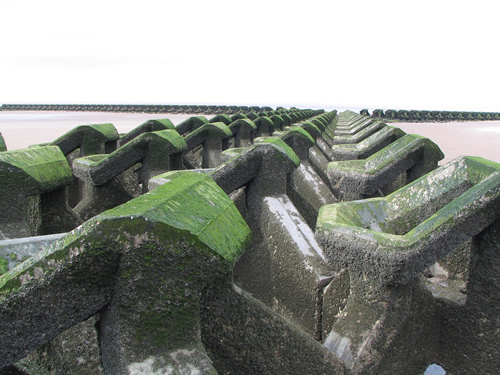 One set - which look like some sort of alien construction - act like groynes and I think are designed to stop the drift of sediment along the shoreline (figures 1, 2 and 3). 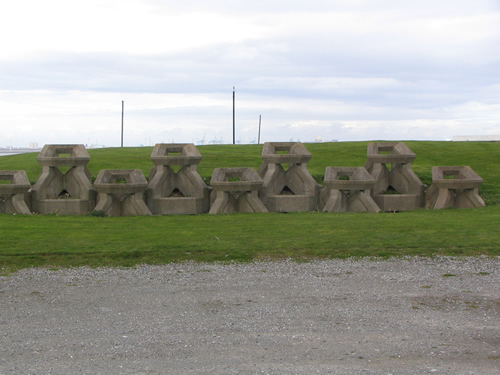 Figure 3 is a group of the objects on the grassland behind the sea front. 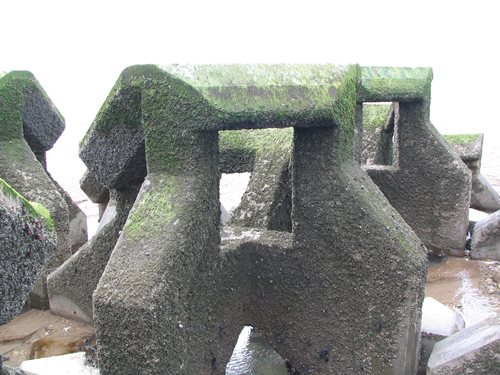 The other set form a sea wall (figures 4 and 5), which I guess is designed to absorb some of the force of the waves as they hit the wall. My ideas about their purpose is guesswork so if there are some engineers amongst you that want to write an article to explain what is happening for us, we will look on it with great interest! What is not obvious is that the two structures seem to be made from linking together a large number of pieces, all the same, but designed to interlock, for strength and also to make it easy to build. 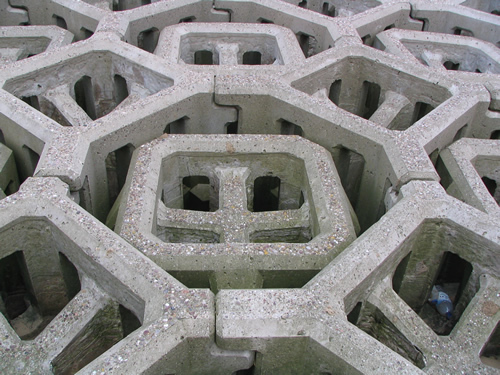 I have not seen anything like this anywhere else, let alone seen it constructed, but I guess lorry loads of enormous concrete pieces were brought to the sea shore and then fitted together (a bit like a daisy chain or clicking together Lego bricks). Can you work out what a basic shape might be in both cases and work out a way they might fit together? You might try something out with pipe cleaners or Lego bricks or something similar. 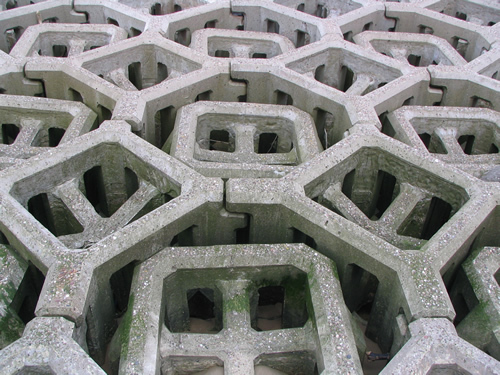 If you cannot work out what is happening here you might be able to create similar interlocking structures of your own. If you have any really good ideas and can put them together into an article for others to read - we would be delighted to hear from you. Squares. Creating and manipulating expressions and formulae. Mathematical reasoning & proof. Visualising. Games. Working systematically. Practical Activity. Generalising. Interactivities. Cubes & cuboids.